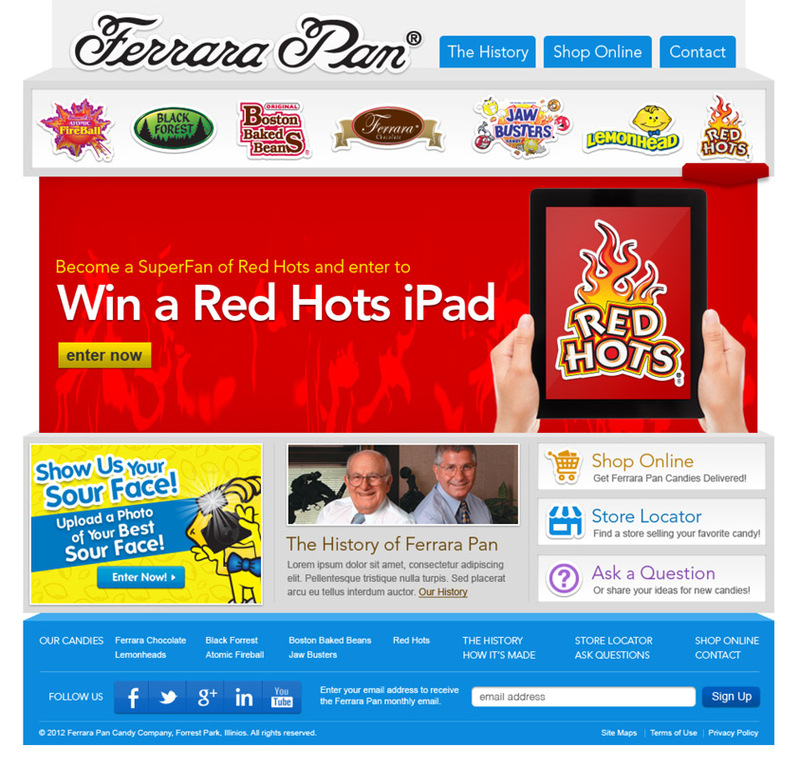 Ferrera Pan is a 110 years old candy company in the Chicagoland area.They produce brands like Lemonheads and friends, Blackforest, Brachs and Redhots. Their candies are sold through major retailers. 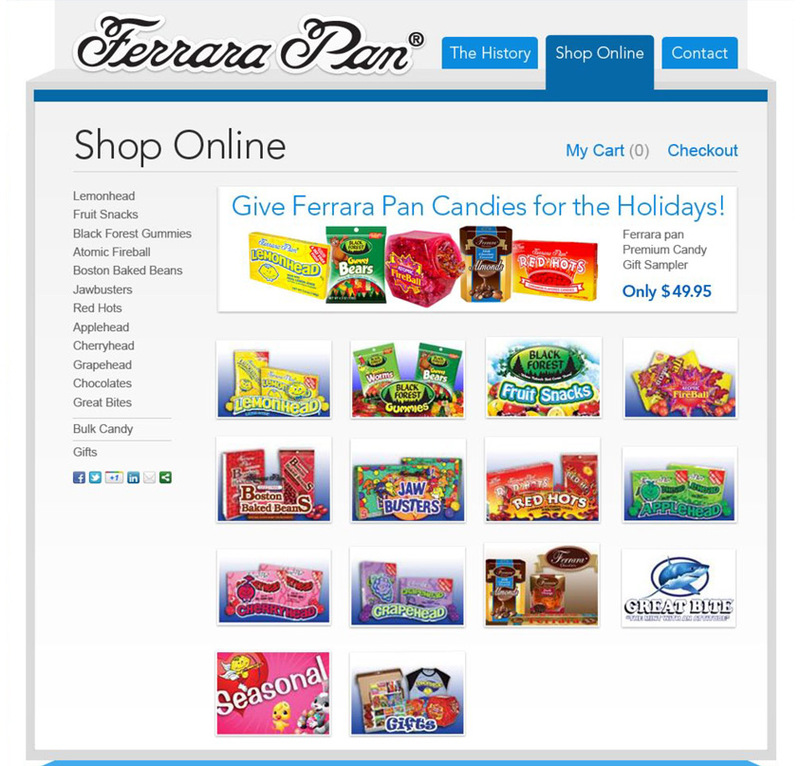 A shopping application was developed for the candies. 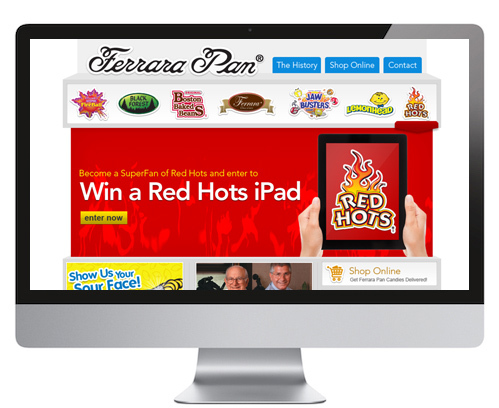 Besides user engagement social campaigns were conducted using the Facebook application to generate social engagements for Ferrara Pan. These engagements were monitored tweaked and manage to generate maximum results. Robust filters were built to generate the analytics that matter most. Meaningful insights were acquired from the content and campaign performance to optimize marketing strategy through a real-time data-first approach. Comprehensive, presentation-ready reports were generated to seamlessly share across departments and team.